Beachfront Living, Golf Country Clubs, Spas, Dining, Boating... Mimi and I know this environment… we live and work in the high-end luxury lifestyle of Naples. We know the Clubs & Real Estate from the “Inside”. 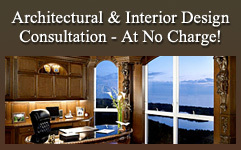 Our Real Estate Brokering service is enhanced with Architectural, Interior Design, and Remodeling EXPERTISE. 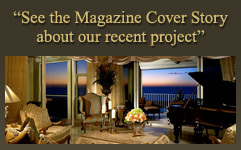 Allow us to share our 30+ years of experience in high-end projects. We will explain and show our benefits over others - in a few minutes. If you are new to Naples, or planning a Real Estate change, consider talking with us before you spend over Two Million creating your own Naples lifestyle in the best of Naples. Over the past seventeen years, we've had the pleasure of living, playing, and working in Naples. 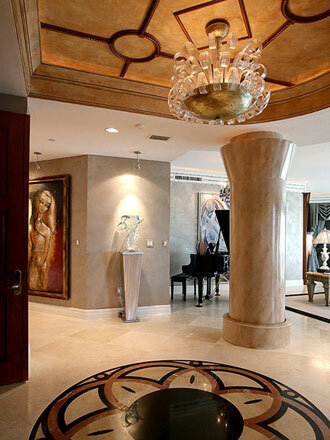 We work with some of the world's most sophisticated and discerning newcomers as well as old-time established locals. We are active country club members, Spa members and full-time residents, so we enjoy the very best Naples has to offer... that which our high-end clientele truly wants and expects. Bay Colony, Bay Colony Golf Club, Old Collier Golf Club, Spa at The Ritz-Carlton, Hamilton Harbor Yacht Club, Sea Salt Restaurant and The Capital Grille Restaurant. Click the map REFRESH button after moving map position! We are "Insiders". Our husband and wife team can ensure you buy the most appropriate property for the "style" in which you wish to live. Mimi Gabr Sorenson is an Architect & Interior Designer, specializing in high-end Luxury projects, and Scott Sorenson, an experienced Realtor, is active in the high-end Naples Real Estate market and has been brokering Commercial & Luxury Residential property for over three decades. We live in Pelican Bay and are particularly familiar with this area. Mimi Jolie Maison, Inc. owned by Mimi Gabr Sorenson, is an award winning high end Interior Design firm specialized in custom design for large residential projects and model merchandizing for developers and investors. Mimi's design flair is a result of her European upbringing, education in Paris and Chicago, international travel, and decades of practice. "When I first moved my business from Chicago to Naples, I opened my office at The Village on Venetian Bay, to be visible – and it worked out great! Since that start, I have been able to design a lot of places along Gulf Shore Blvd. North. There is not a building on that street that I have not worked on, including: Le Revage, Provence, Le Jardin, Brittany, Club Le Ceil (both towers), Regent and many others. In Bay Colony & Pelican Bay, I worked in Brighton, Remington, Trieste, Montenero, Cap Ferrat, Coronado and also individual homes in Port Royal. I became so familiar with the architecture of these highrise buildings along Gulfshore North, and the layout of each unit, that I basically did not need a plan to do my design. In a way, I became an expert on all those buildings." Mimi is trilingual, fluent in English, French, and Arabic. She received her Architect and Interior Design Degree from the Art Institute of Paris, France and La Salle University in Chicago Illinois. She is a member of the American Society of Interior Design, A.S.I.D. as well as the Interior Design Society, I.D.S. Mimi is also NCIDQ certified, Florida licence number: 0004432. Scott Sorenson, originally from Minnesota, graduated from the University of Wisconsin where he studied Business, Economics, and Accounting. His career started in 1976 at Coldwell Banker Commercial Brokerage (now CB/Richard Ellis Commercial brokerage) with Investment sales focused on large multi-family residential buildings, Office buildings, and then managed 150+ million dollar portfolio at Prudential Securities, Inc (now Wells Fargo Advisors) and making his own investments in real estate in Minneapolis and Naples by buying numerous properties, remodeling and holding or reselling. Scott maintains an active Real Estate business in Naples, specializing with his wife, Mimi, on high-end luxury residential projects. Scott is also an avid golfer, tennis player, and boating enthusisist. The luxury real estate market in Naples is still booming. No matter what happens in the rest of the world, the luxury real estate market in Naples is, by comparison, still somewhat insulated from the economic fluctuations elsewhere. Although building has slowed down a bit, there is no shortage here of stellar, luxury condominiums, and villas available for sale or rent, offering the most exclusive amenities, magnificent views and exceptional value. Choose a view of the Gulf of Mexico or the gorgeous cityscape of Naples from a Park Shore penthouse or catch a glimpse of the Ritz Carlton or Clam Pass from the balcony of a Bay Colony high-rise. The choices are as diverse as the prices which currently range from $500,000 to more than $14,000,000 for a condo with view of the Gulf. 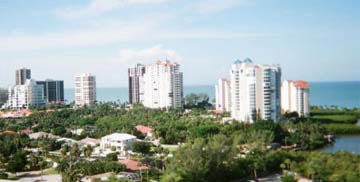 Naples also has a reputation for its opulent lifestyle and abundance of luxury homes and condominiums. Whether it is the row of 'mansions' and spectacular beach front estates along Gordon Drive, the palatial residences in Port Royal and Bay Colony or the impressive golf course facing homes in Grey Oaks or Mediterra, Naples gives new meaning and appeal to the term 'luxury real estate'. Pricing from $1,000,000 to $23,000,000 allows you to choose your level of comfort. Naples, Florida is unlike anywhere else. With unique qualities of both beauty and bounty, Naples is a haven for those who enjoy the very finest of everything, and have a penchant for luxury real estate. Luxury abounds in so many forms, both simple and complex. Nature has provided a rich backdrop of year' round color with its lush foliage, ever blooming flowers and awe inspiring sunsets. Enviable weather allows for nearly 365 days of golf, boating, biking and tennis. Never lacking for fine dining, and fine art, Naples attracts worldwide attention for its many galleries, specialty shops, first rate hotels and restaurants. With one of the highest per capita net worth figures in the country, Naples is home to thousands of multi-millionaires. Along with the high concentration of wealth in Naples, is its history of high stakes philanthropic ventures. Charity auctions and celebrity benefits break fundraising records every year with such events as The Naples Wine Festival, The Angel Ball and numerous golf and tennis events which raise money for local non-profit organizations who help people in need, especially children. As they say, wealth begets wealth and Naples is no exception to the concept, nor is it exempt from the civic responsibility that comes with that high level of wealth showing that Naples truly has a big heart. 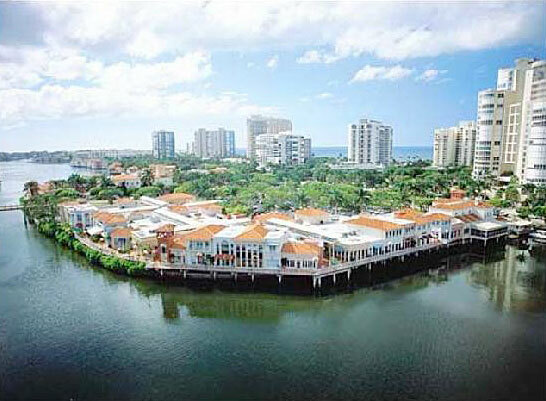 The Naples luxury real estate market is vast and varied as is the pricing. It is smart to ask for advice and allow a veteran professional to educate you on the many possibilities that best suit your needs. The choices can be mind boggling or carefully thought out and systematically eliminated or selected. The right real estate agent is key to your luxury home purchase or rental. 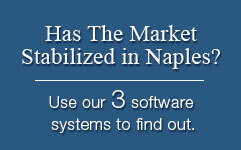 When shopping for real estate in Naples, the process itself should be pleasurable! 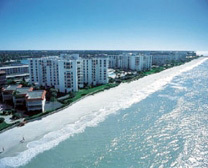 Naples, Florida offers nearly every luxury imaginable except a snow covered mountain to ski on! Unless you have a decade to ponder your purchase, it's best to view the myriad of options through the eyes of a seasoned professional. Scott Sorenson knows his business. Scott knows the ebbs and flows of the Naples Luxury Real Estate market and he can guide you through the steps of a thorough analysis and aide you in making a wise choice. 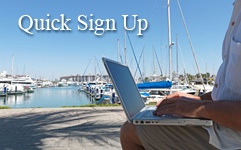 Get advice from an expert and you will find your perfect piece of paradise in Naples. With a plethora of luxury residential properties to choose from, it's best to start with a list of the items you want most in a Naples home. Its diverse mix of neighborhoods and gated country club communities can confuse even the most savvy of real estate prospects. View, golf, tennis, boating, convenience to shopping, proximity to the beach…all are important keys to identifying and finally realizing the ultimate dream home you desire. Would you rather have a four thousand square foot luxury condo overlooking the seventh hole of a championship golf course, or a home with a four car garage and a private pool? Naples is known for its wonderful, first class golf course communities such as Collier's Reserve, Grey Oaks, Pelican Bay, Mediterra, and Bay Colony to name a few, plus the dozens of public courses in our area. 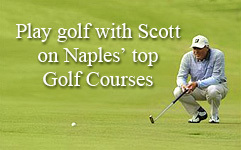 It is no wonder why Naples is known as 'golf capital of the world'.Whether you decide to spend $600,000 or $9,000,000. Scott Sorenson can help you refine your luxury real estate needs and your Golfing Community wish list.